Such a fun and beautiful romper on baby girls. 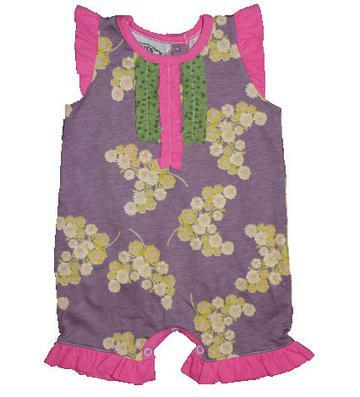 The dark purple with sage green, pink and white flower print romper has pink ruffles on the chest and sleeves. There is two rows of ruffles on the side of the pink down the chest that are dark green polka dot. 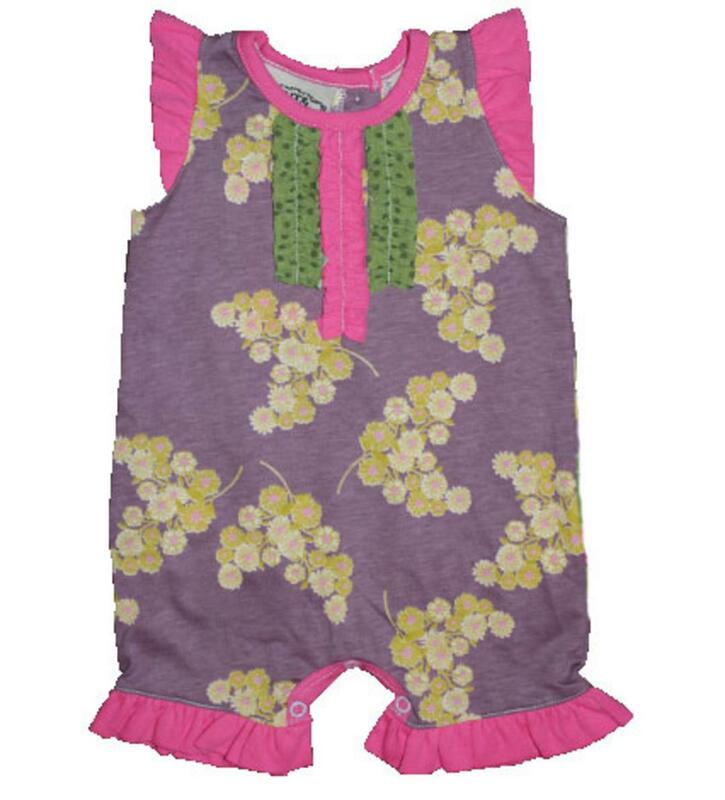 There is jewel buttons down the back of the romper that accomodate getting over a childs head easily. There is also buttons on the inside of the legs to change diapers and this soft outfit is 100% cotton.